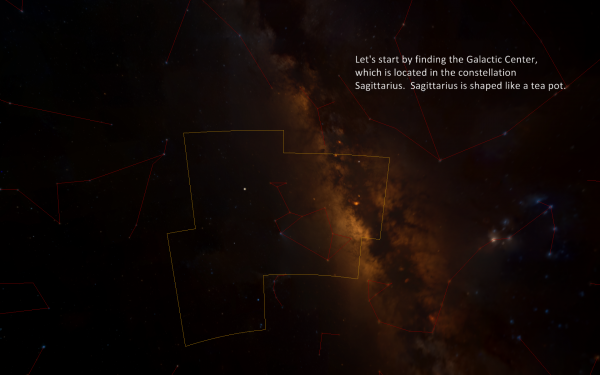 Microsoft Worldwide Telescope is a free application that lets you explore the universe from your local computer. It offers more than a planetarium with its guided tours, free exploration options, communities, extensive search and telescope connection feature. You can launch the application right on the official website, provided that you have Microsoft Silverlight installed, or download a client for the Windows operating system instead. The desktop client has a size of about 70 Megabytes right now. Microsoft recommends a reasonably fast PC with at least 2 Gigabytes of RAM and a 3D accelerated video card, as well as 1 Gigabyte of hard disk space and up to 10 for off-line features and high performance browsing. You start the application in Explore mode, which lets you zoom in and out, and rotate freely with the mouse. A list of suggestions is displayed at the top and bottom of the window which you can use to zoom in on a planet, constellations, the solar system, black holes or a set of studies (Spitzer, Chandra and Hubble). You need to use the folder options at the top to navigate between different items. You can right-click on any item to receive detailed information, like the classification, names, or distance. Some data may need to be downloaded before it becomes available. This may explain the 10 Gigabyte system requirements recommendation. Tours can be particularly interesting as they run more or less automated in full screen. But instead of just displaying visuals, they also offer textual information or audio commentary. There are many different tours available, for galaxies, individual planets, supernovas or nebula. One interesting feature is the ability to create custom tours, and share those tours with other users. The included search can be used to find planets, constellations and everything else you can think of by entering names, or partial names, into the search form. If you are in the know, you can also enter distance, Ra and Dec information. Here is a video introduction of the WorldWide Telescope by Roy Gould. Microsoft’s WorldWide Telescope has just been released in a new version for desktop PCs. Version 3 beta can now be downloaded from the official website. If you are interested in the stars, then I’d suggest you give the application a try, it is great.